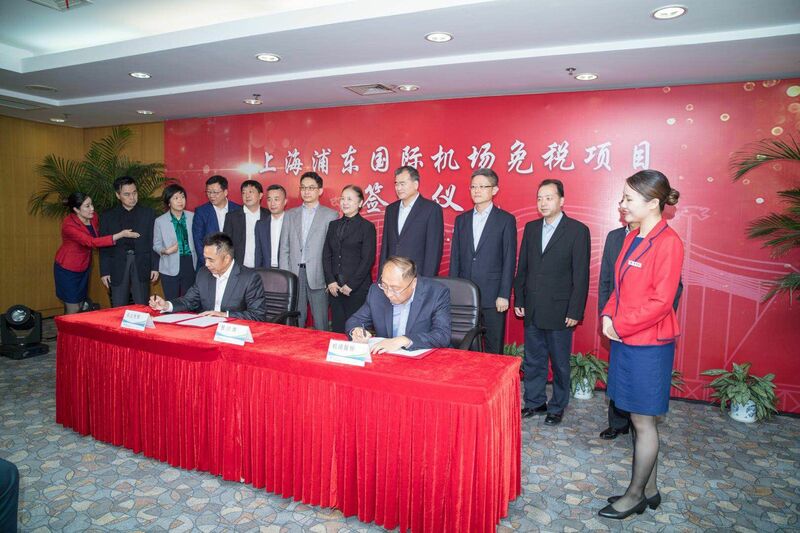 It was a ceremony that marked a “landmark moment in the history of China’s duty free industry”, as Sunrise Duty Free, the 51% subsidiary of China Duty Free Group, signed a seven-year contract with Shanghai International Airport Co. The contract is for the operation of duty free stores at Shanghai Hongqiao International and Shanghai Pudong International airports, where Sunrise has been the long-term and much-respected incumbent. The concession starts from 1 January 2019 and runs to 31 December 2025. Milestone moment: Charles Chen (left), President of CDFG and Chairman of Sunrise Shanghai, and Shanghai International Airport Co General Manager Hu Zhihong shake hands after signing the key long-term agreement. Show of unity: The airport and retail companies believe that the agreement ushers in a new duty free shopping era for the two Shanghai gateways. Take on duty free: The airport and retail companies pledged to work together closely over the next seven years to generate complementary benefits.